As a proverb puts how malleable a child’s mind is like: “Train up a child in the way he should go, and when he is old he will not depart from it.” Still holds true today that in a matter of nourishing a child’s curiosity on something: passion is kindled, proteges are born, and ignorance is countered through proper education. Tech One Global is an evangelist of capacities. It seeks to inspire, motivate, and empower every single talent everyone has. For this most recent venture, together with us is Microsoft and the Hour of Code, a global movement aiming to introduce computer science (specifically coding) in a more digestible, enjoyable, and child-friendly approach – and our new converts: kids who dared to break the intimidation to computer science. 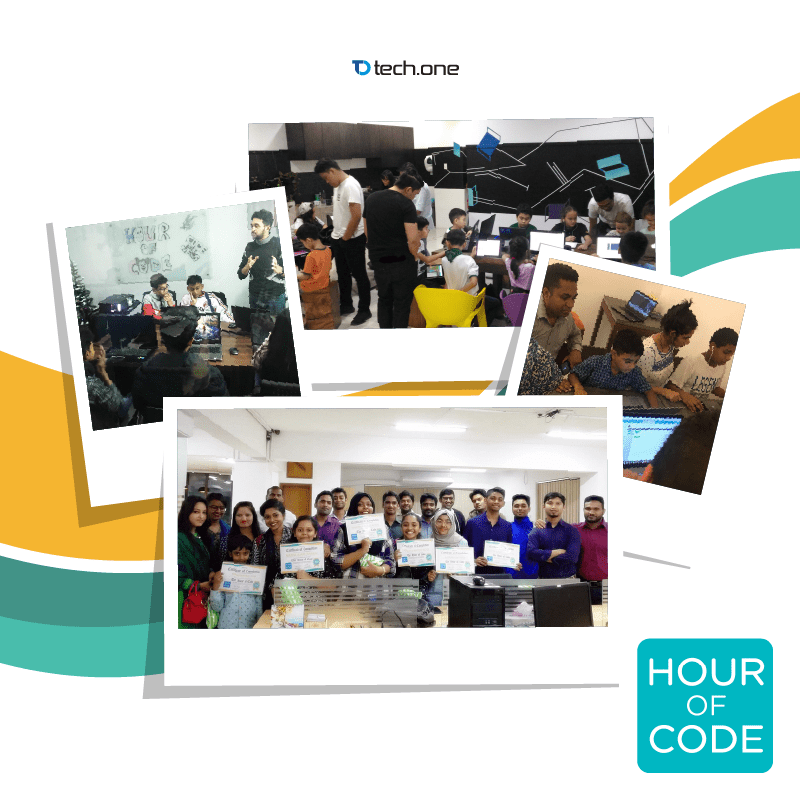 Maximizing our powerhouse of employees composed of tech experts to lead this event, the Hour of Code successfully began December 4 – 10, 2017. Tech One Global puts forward the rise of technology literacy among developing countries, thus making it an official event across our offices (Bangladesh, Nepal, the Philippines, and Sri Lanka). Each of our offices allotted a 60-minute class each day (or even more) to cater kids who just really want to have fun while learning, be them unfamiliar to coding or already taking their own little steps to mastering it. Being true to Hour of Code’s commitment, the coding experience made lighter and child-friendly through a selection of modules to choose from. In store are visually entertaining games featuring characters, trademarks, and franchises kids love such as Star Wars, Angry Birds, Gumball, Minecraft and a whole lot more. As for how the kids should play the games, the drag-and-drop mechanism made the whole experience simpler with a take away of seeing the in-game movements translated into codes, thus unlocking the hows kids have in mind in developing computer games. Since December 10, 2017, there are 153, 189 participating #hourofcode hubs worldwide aiming to eradicate computer science intimidation one child at a time. 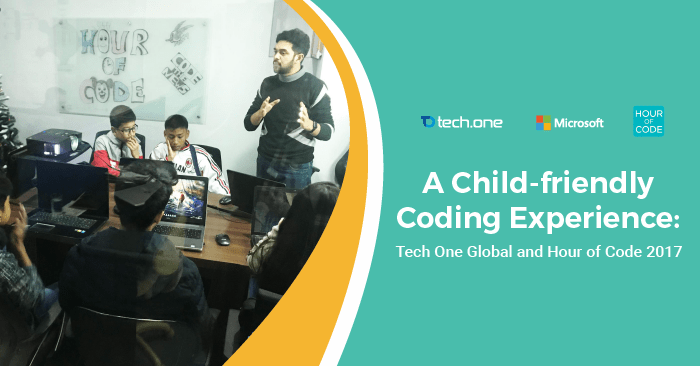 It had opened the minds of over 100M kids across the globe to find the fun in coding – a figure that affords us to find no reason to sit around and see how technology can better the community. We’re here to inspire humble beginnings, motivate expertise, and empower for outcomes. That’s Tech One Global in its simplest context. For more up-to-date tech awareness campaigns, let’s talk.